10 Best WordPress Facebook Plugins & Widgets 2019: Facebook Integration to WordPress Made Easy! Now that we are on the age of digitalization, the one way we all stay connected is through the online social media networking sites. Because it is easy and mostly free, social networking sites and applications have gained more popularity over the years. Thus, more and more of them like-Facebook, Instagram, Twitter have been created and used on a daily basis. Even with businesses and social groups, the one media that they promote themselves have been on social networking sites and apps. Hence, it is safe to say that with our obsession over digitalization, the best way to socialize has been online. Undoubtedly, talking about social networking sites, Facebook, one of the most popular and best social media platforms is one place that has billions of users all over the world. Great way to stay connected it is an online networking site or application that was first introduced to the public in 2004 by Mark Zuckerberg. Moreover, boasting billions of users all over the world, Facebook has surely managed to become one of the top social networking sites out there. Because of the vast number of users, it is no doubt one way that even bloggers and website owners stay connected with their subscribers or audience. WordPress being one of the leading platforms for blogging and websites, the good news is that it has now come up with a solution to integrate both of them into one. It is no longer a difficult task reserved only for WordPress developers now that there are WordPress Facebook Plugins created for this purpose. And to save our users time and effort, we have researched and created the list of Best WordPress Facebook Plugins just for you! Feel free to check them out and find the one that works the best for you! What are WordPress Facebook Plugins? Before we get into our list of Best WordPress Facebook Plugins, here is a briefing on what exactly they are and how do they work. WordPress Facebook plugins or widgets are simply tools that help you integrate your Facebook with your WordPress site. 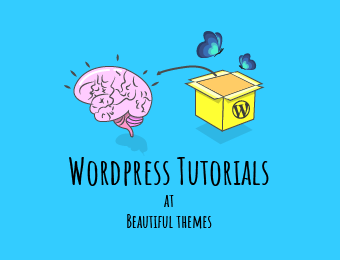 Whether you wish to display posts or restrict contents, or even make sure that you stay connected to your users, these plugins are designed in such a way to make it easier for you! Moreover, you can add the widgets to your widget friendly area of your website and it will be done in a matter of minutes. So how exactly does adding Facebook to your site help your site? Keeps your viewers engaged and makes your site visually interesting. Adding Facebook improves the user interaction on both ends. Get more recognition for your brand or site through social networking! Build and grow your audience through social networking. Save time and effort sharing updates to users on either platform. Connects you and your users increasing interactions. Completely customizable, responsive as well as SEO friendly, Custom Facebook Feed is a perfect plugin to help you integrate Facebook into your WordPress site. The super user-friendly plugin brought to you by Smash Balloons, is in itself a great way to match the look and feel of the theme of your preference. Furthermore, with advanced features and easy installation option, this is probably one of the best choices for your site and easily makes it to the top of the list. You can either download the free version from the official WordPress website or you can choose to go Pro for more added features. SEO friendly and crawlable search engines. Responsive and mobile friendly design. Option to display multiple feeds. Easy installation and set-up process. Option to add multiple websites. Options to display likes, comments, shares below each post. Display only certain post types. More frequent updates and features. Another easy and efficient way to integrate Facebook into your WordPress is through Easy Facebook Like Box. Apart from their main three features- Custom Facebook Feed, Facebook Page Plugin, and Auto-pop-up, there are also other major features of this plugin that makes it super handy and useful. Custom Facebook feed in Auto Pop-up. Option to show or hide faces/connections. Close Button acts as never show again. Generate Shortcodes using widget forms. If you wish to invest for more advanced and premium features in a WordPress Facebook Plugin, then Facebook Content Locker is obviously the right choice for you. Why? Because this plugin enables the users to lock a content inside your WordPress posts or a page. The easiest way to integrate Facebook on your WordPress, we definitely recommend you to try it out! With the plugin, you can also activate the Share on Facebook to unlock so that your users and visitors share your page link before being able to unlock the page. Definitely a great option to increase interaction on both ends! Lock any contents of your Facebook on your page/post. Export User data to CSV. No need for app approval from Facebook. AJAX powered plugin setting page. CSS File available to customize the locked content. Share on Facebook option to increase user activity. Users email addresses in your databases. Want more likes, comments, and views on your Facebook? Well here is just the right plugin for you! Facebook SpiderLink is a restrict content plugin for Facebook, that forces your users to either comment or like the post to access the content. While they do that the plugin also keeps track of all the user’s database for you. A perfect plugin to invest in if you want to promote and grow your audience interactions, Facebook SpiderLink is probably the best option and deserves a place on our list! Increased User Interactions and engagement. User information saved in your Database. Dedicated and friendly customer support. Being connected with your users on Facebook has never been easier now that Facebook Messenger Plugin is available for WordPress. It is basically a messaging premium plugin meant especially for your WordPress based websites. Never miss any potential customer anymore now that you can even receive your user’s messages and save their details! Therefore the number one Facebook messaging app supports all language and features instant notification system to keep you and your users updated. What more can you wish for? Easy and Fastest way to stay connected through Facebook. Lifetime Updates and RTL ready. Facebook Likebox Slider for WordPress, this handy widget can also be used for any other social sites other than Facebook. 3-click configuration and you are set to get more shares, traffic fans, and popularity through your social media platforms. Supporting all the major social sites like- Facebook, YouTube, Instagram, Vimeo, LinkedIn etc, you can now easily integrate them into a slider on your WordPress. Display the posts and pages that you want in a matter of minutes, with quick and Live Preview. Here is an outlook to what the plugin features for their users. Easy Installation and Set Up. Mobile friendly and responsive layouts. Supports almost all online platforms. Another great WordPress Facebook widget, KingPoster is a Facebook Auto Poster tool that is developed and enables you to share your content and drive the Facebook traffic to your websites and blogs. With the really easy interface and multiple user options this plugin certainly deserves to be one of the best out there. Want to promote and grow your business and website, well the solution is here. This premium plugin also features great support and excellent results and hence, remains here on our list of Best WordPress Facebook Plugins! Multiple user and user profile options. Supports Facebook API latest version. Facebook background and Emoji support. Using Facebook for promoting a business or for other purposes related to business has become more popular nowadays. The most important aspect to that is obviously keeping your users updated about it! And with Facebook Events Plugin, you can do exactly that with ease. Create your Events on the easy calendar for WordPress and furthermore display them on your site for your users to see. Additionally, you also get to choose the layout for the calendar. Whether widget or shortcode, this is flexible enough to work both ways as well! The choice for layout: Compact and Full. Create events and display them on your site. Quick view event’s information with tooltip. Option to use it like Widget or Shortcodes. Another great free WordPress Facebook widget or plugin, Facebook Widget is a lightweight and easy plugin for Fb page feeds by Milap Patel. Integrate your Facebook into your site fast and effectively! Moreover, you can show posts, timelines, covers and other elements of your Facebook page and help your users interact with you. Fully customizable, get all the elements according to your preference easily with almost zero efforts with this amazing WordPress Facebook plugin! Fast and Helpful Customer support. Responsive and mobile friendly layout. Option to add application id from your FB application. Want to immediately share all of your posts from your blog to your Facebook for your users to see? Well, Facebook Auto Publish gives you the freedom to do so. Publish and share your blog post instantly with some quick configurations. Publish Posts to Facebook with Images. Attach or share a link on Facebook. Customizable messages formats for FB. Filter items to be shared based on categories and post types. Enable or Disable WordPress Page publishing. Schedule and edit the publish dates. Post Title, Description, Excerpt, Permalink and Post ID. All in all with these WordPress Facebook plugins and widgets, you can not only include sliders and posts and pages from your Facebook, but we have also listed messengers to help you stay connected. We hope with this article we have made sure that all your dilemmas regarding the topic have been answered. Liked our article? 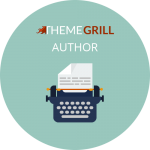 Why not check out more of our useful WordPress plugin articles? 5 Of the Best BuddyPress Plugins for ! 10 Best Email Marketing Plugins to grow your business! Aweber v/s MailChimp, which one is better? Disclaimer: Some of the links in the post may be affiliate links. So if you purchase anything using the link, we will earn affiliate commission. An avid reader and aspiring writer, I love to research, write and blog about things that peak my interest and curiosity. Hi sam, thank you for shere great usefull article. Awesome post! you have mentioned some great plugins. Thanks for that! Thank you for the post. It’s Really Helpful. What about Statebuilt Facebook Page Like Popup? One more question, Are those popups slow down the website? Yes, we think that Statebuilt Facebook Page Like Popup is a great plugin if it suits your needs as well. However, the popups don’t slow down the website. But, the popup plugins might slow your website depending on the plugin.